While most vegetables are now available year-round, some produce really is not worth buying during the wrong season. Watery and pallid, the winter versions of summer vegetables can mean we lose sight of how good these items can be. 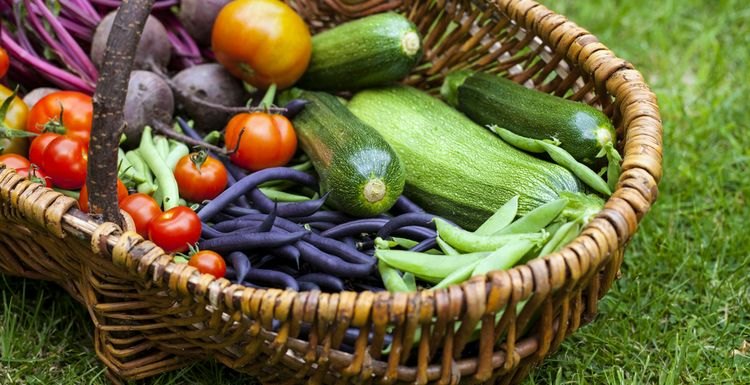 Revive your interest in these vegetables by savouring their summer taste. Here’s what to do with them, and what they can do for you. Strictly speaking tomatoes are a fruit, but their flavour works best with savouries and main courses. A fresh summer tomato will be a deep red and full of flavour. Tomatoes are a big source of lycopene, an antioxidant that can help reduce risk of heart disease or cancer. They also contain vitamin C, potassium and vitamin K, and a mainstay of the healthy Mediterranean diet. Fresh tomatoes should be enjoyed raw or lightly cooked. Slice and dress for a salad, or chop and add to a stir-fry near the end of cooking. Also known as zuchinni, a firm green summer courgette is a great improvement on the watery winter version. Filled with vitamins A and C, and potassium, courgettes can even be turned into a low-carb version of pasta. Slice and fry lightly in olive oil and garlic, bake in an easy vegetarian lasagne or try this quick lunch recipe. Fresh beetroot is well worth the challenge of eating it without turning purple. The tasty roots are stuffed with vitamins, fibre and minerals, and the leaves are one of the best vegetarian sources of iron and calcium. Raw beetroot needs to be simmered for about forty minutes until soft, and the leaves are also tasty in a stir fry. The beetroot can then be added to a salad, thrown into a pasta dish or even used to add colour and flavour to a barbecue or burger dish. Beetroot can even be used in a cake recipe. Make the most of those summer tastes, and all that good nutrition too. I was away last weekend, staying at a holiday cottage with a 'help yourself' veg plot. I think we were assisting with their glut but wow, those courgettes, those tomatoes, those onions... I just wish we city types could get the same! Ross, for fresh veg that is definitely the case - it tastes so much better! My parents have space for a veg plot and freely admit that they are currently stuffing themselves with courgettes, beetroot and runner beans. Even the supermarket stuff is better when in season as it hasn't travelled so far or been kept so long. Seasonal eating is much better for you too I thought... thoughts on this? ?